iPads, MacBook Airs, Apple TVs, and Beats headphones are all on sale at Best Buy for the next three days. Editor's note (March 15): Most of the deals in this post have now expired, but Best Buy is still selling the 32GB 2017 9.7-inch iPad with Wi-Fi for just $250 in space gray, gold, or silver and the 128GB model for $350 in space gray, gold, or silver. With its three-day Tax Time Tech Sale, Best Buy is on a mission to make tax time something to look forward to. Luckily for us, many of the best deals center on some of Apple's most popular products, ranging from an impressive offer for a 9.7-inch iPad to respectable prices for MacBook Airs, Apple TVs, and Beats headphones. First, about that iPad. 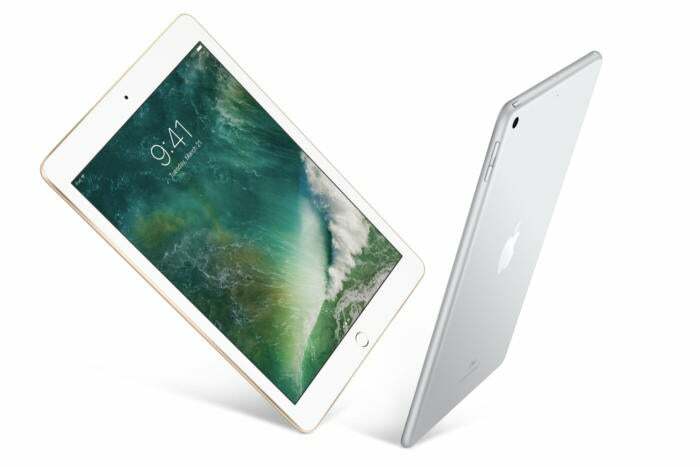 Best Buy is offering the 32GB 2017 9.7-inch iPad with Wi-Fi for just $250, which is an agreeable $79 down from the $329 it's usually listed for. But 32GB frankly isn't a lot of room these days, so if you've got a bigger budget to work with, we recommend grabbing the 128GB model for $350, which is down from the usual price of $430. The available models come in either space gray, silver, or gold. We love this little machine. In our review, we said that it's "great for families, schools, businesses looking for a point-of-sale system, and just anyone who wants a workhorse of an iPad without the bells and whistles of the more expensive iPad Pro." It's packed with Apple's powerful A9 chip, and the 8MP camera is hardly a slouch. We also played up that it's "everything great about the iPad at a lower cost to entry than ever," and that's especially true with a deal like what we're seeing from Best Buy. You'll also like this sale if you're wanting to pick up a new MacBook Air. Best Buy is offering the 13-inch models for the MacBook Air starting at $799.99, which is a respectable $200 off their usual asking price. Keep in mind that the regular ol' MacBook is actually lighter and smaller these days, but if you're simply looking for a relatively inexpensive Mac laptop, this isn't such a bad deal. If you're into Beats headphones, Best Buy is also offering the BeatsX wireless headphones for just $85 (down from $110) and the PowerBeats3 wireless earphones for $105 (down from $199). Best Buy is offering free shipping on orders over $35, which you'll qualify for with all of these deals. If you'd rather not bother with shipping and possibly get your stuff sooner, though, you can also choose to pick up your purchases at your local store this weekend.